On our fourth day, we headed to have lunch at my favorite restaurant in Taipei called Du Xiao Yue (度小月). The restaurant has several branches imcluding one at Yong Kang Street. I always go to the one located at Zhongxiao East Road. This restaurant was introduced by a friend of mine way back in 2008. Ever since then, I have made it point to drop by at least once when I travel to Taiwan. I recommend that you order their danzi noodles which is what they are popular for. I always prefer to get the broth based one with the shrimp on top. You will easily see this on the menu. You should also their Chinese Sausage (or lap cheong) as well as the mandatory bowl of rice with minced pork on top to accompany your bowl of noodles. As it was already our last full day in Taipei, we were pretty much exhausted from the first three days of our trip. We probably managed to do at least 20,000+ steps each day on an average. That is apart from the multiple train stops we took everyday. This was the first time we managed to utilize their public train system during the whole trip. We avoided taking cabs as it was more expensive and only decided to do so when the metro was already closed at night. In the afternoon, we headed to Chia Te to buy some freshly made pineapple cake. If you are going to buy some goodies to bring back home, you should try this sweet delicacy. There are other brands out there but we prefer this one. I prefer getting the original pineapple flavor or the one mixed with salted egg inside. They also sell other flavors and other pastries you may want to try out. At dawn, we headed to Ximending which is probably their hippest district. This area is very popular among tourists as well as young locals. Within the main district is the Red House Theater. There was a small bazaar in front of the building when we visited at this time of the year. The shops were selling local trinkets quite similar to what we saw in the shops along Huashan 1914 Creative Park the other day. After, we went inside the main area which is a mix of retail shops and restaurants. This is an alternative place to go to if you want to get away from the night markets. It was always a night market stop for us every night except tonight. As my family decided to head back to the hotel, me and my girlfriend decided to meet up with a friend who was also in Taipei for vacation. We ended up drinking in a pub near the Red House Theater. Spent a few hours sharing stories about our experiences in Taiwan which were all equally great over some Taiwan Beer. This wraps up my trip in Taipei last Holy Week. This place never fails to surprise me with something new even if I have been here several times already. There is still a lot more to discover and see next time! After some good drinks with great company last night, I woke up in the afternoon already. 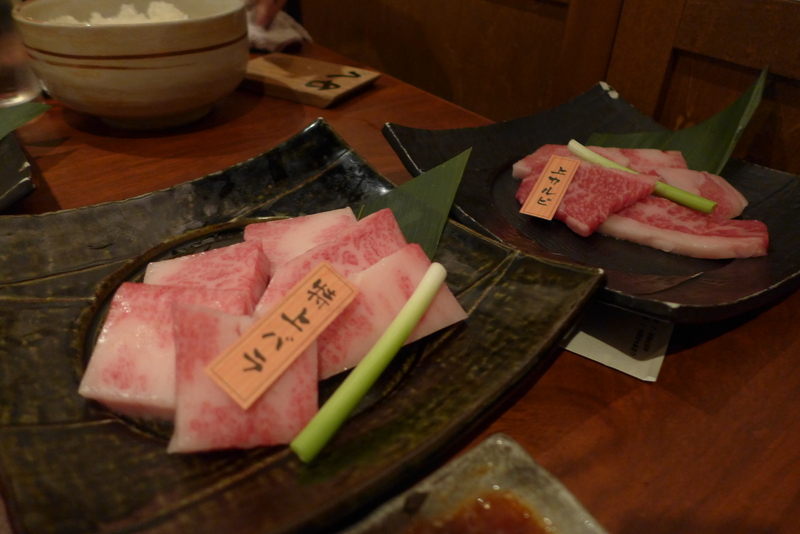 This was our last full day in Osaka but I just couldn’t muster myself for a final day push. Instead, I decided to slow the pace today. For lunch, I had to try out some ramen before we left Japan. 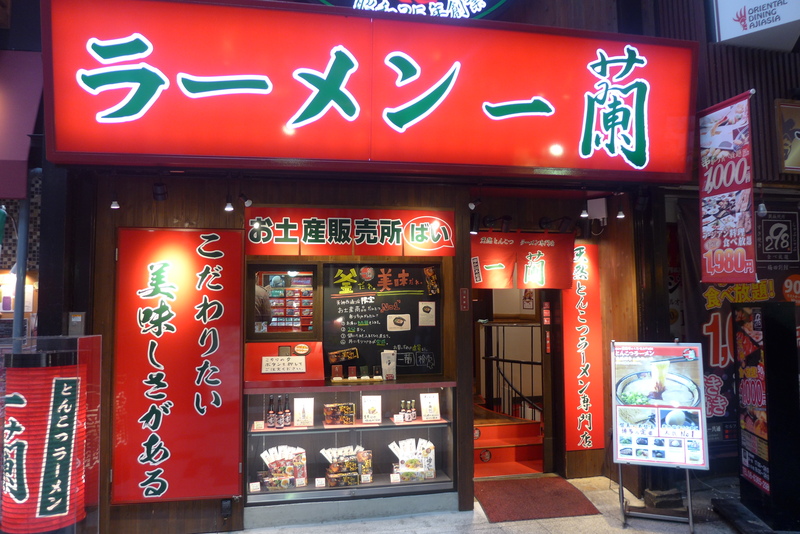 We decided to try Ichiran Ramen located in Umeda district. They have 3 branches in total around Osaka. While waiting to be assigned a spot, you can already get your side orders (through a stub) from the vending machine. 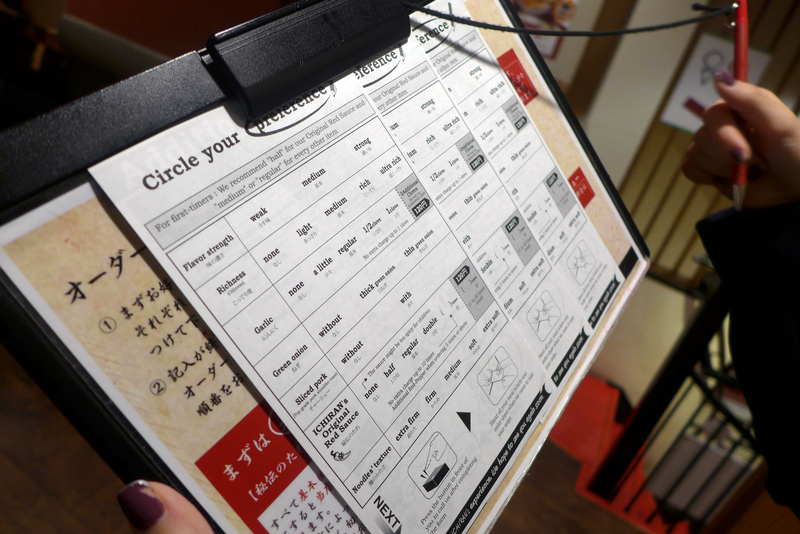 Likewise, there’s a form containing your ramen preference. 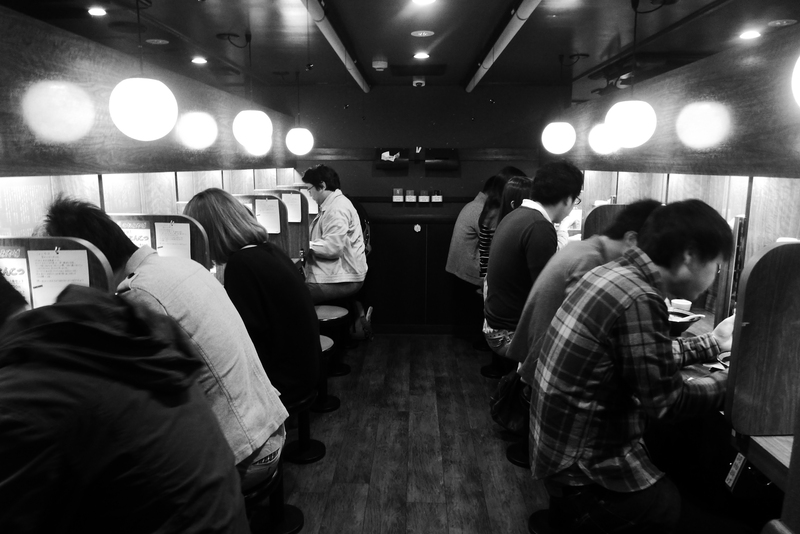 When it was finally our turn, each one of us was assigned to one of these cubicles. Someone from the booth will get your order stub and form. Wait a few minutes and they will serve your order. You barely even interact with the restaurant staff at this place. It was my first time to experience something like this. 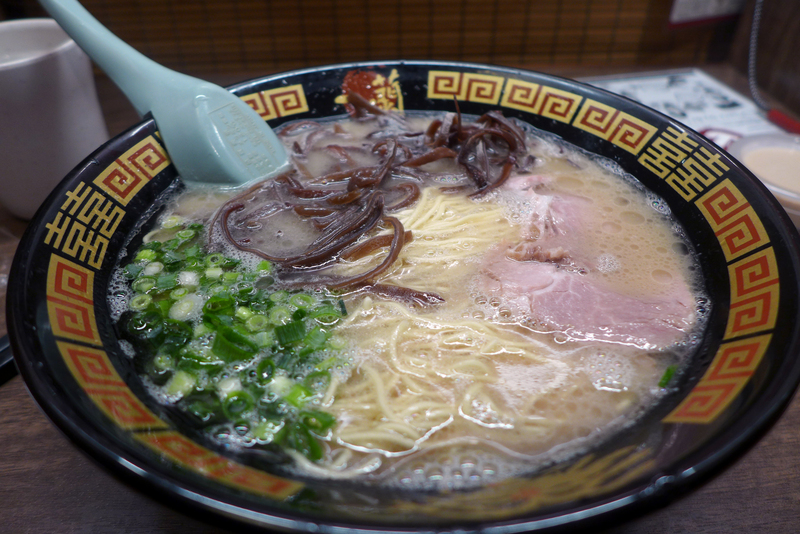 As for the ramen, it’s probably one of my favorites in terms of taste and overall experience. 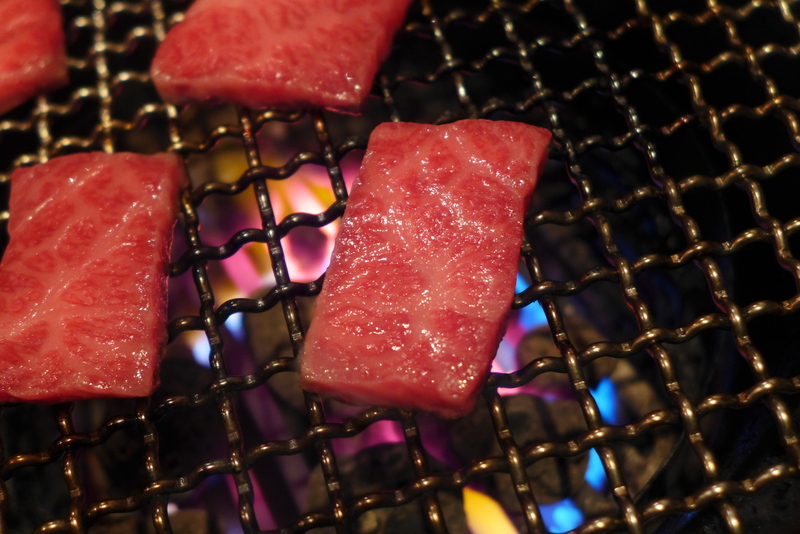 You should also order their cold tofu which can be eaten before or after your ramen. The rest of the afternoon was allocated for last minute shopping. We spent most of our time in the supermarket. For dinner, we wanted to make sure we ended our trip on a high note. 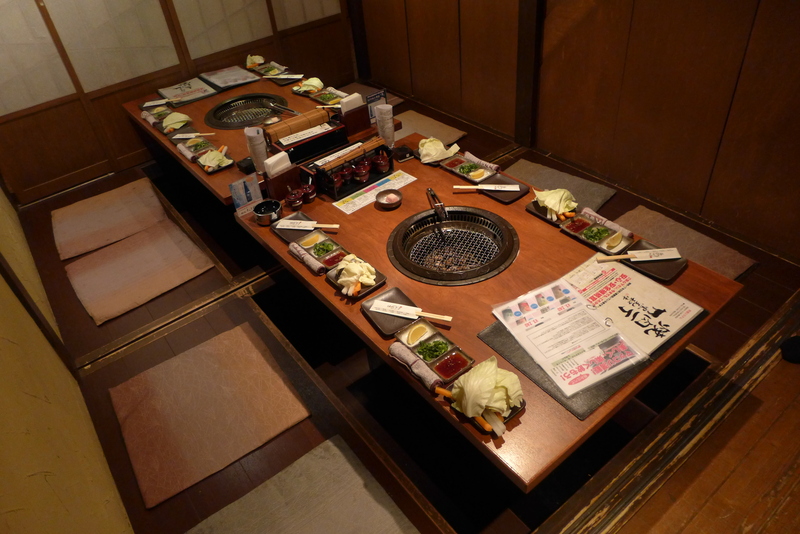 We decided to have dinner atYakiniku Icho located in Umeda. 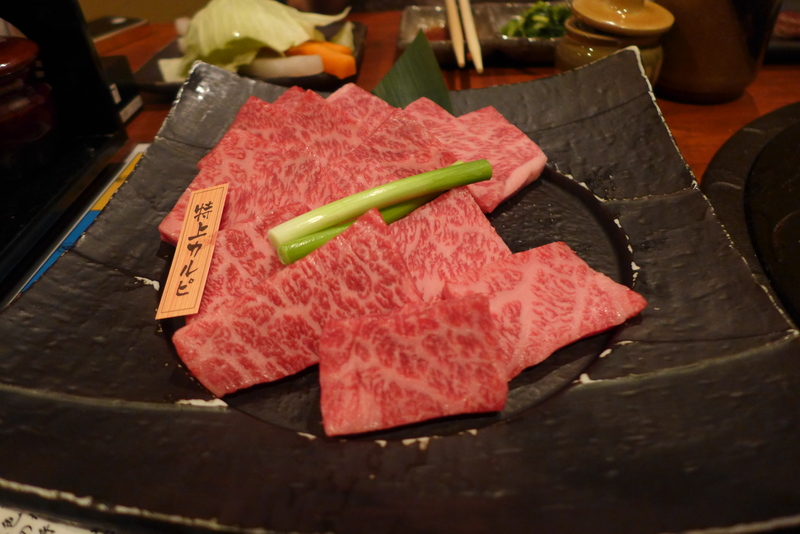 Our last supper in Japan did not disappoint! As the sun rises the next morning, I cannot believe that this trip is coming to an end. I guess it’s just a matter of time when I return to this wonderful country.